4k00:10Time lapse of clouds moving over water at Lake Powell viewing the red rock landscape in Utah. 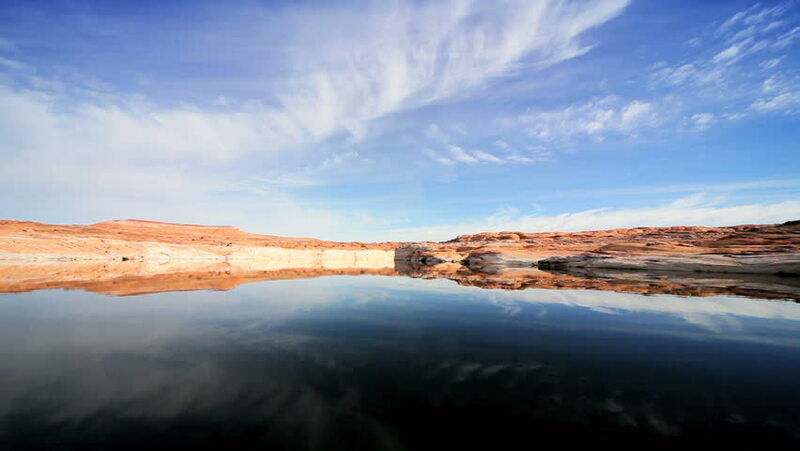 hd00:20Lake Powell is a reservoir in the Colorado River that spans 200 miles. Houseboats and powerboats cruise through the lake's canyons. it was the location of many movies.